This biography is about both Barry and Inez and so we will be flipping back and forth between them as you get to know them and I hope you will be excited by what you find. Forget any stiff and formal, sepia toned images you might have of them. The story begins when they were very young and, as you will see, they made lots of mistakes but they were both extremely adventurous and lived life to the full. Their marriage only lasted six years and there always seemed to be a lot going on in both their lives. So, prepare to climb back through your family tree and meet them as real people. I hope that you get the facts but, more than that, I hope that you get the feeling of this story. Birth records in early 19th Century Ireland are patchy and so far no birth certificate or record has been found for Dr Barry Cotter. However a baptismal record has been found showing that baby Barry was baptised into the Catholic Church at St Mary’s Cork on 14th December 1809. The information we have about his family and early life comes from other certificates and the newspapers of the time, and the following is an excellent place to begin his story. In London on Saturday October 3rd 1818 The Morning Chronicle reported this incident which had already appeared in The Cork Advertiser on September 26th. On Monday morning between the hours of five and six o’clock, an outrage of a very aggravated nature was committed within about three miles of Millstreet. A gang of fellows under the pretence of having a decree, went to the house of an industrious man McCarthy, the doors of which they had broken open. The family being in bed, they began collecting every article they could, including the garments of Mrs McCarthy near the bed, which would have left her completely naked. 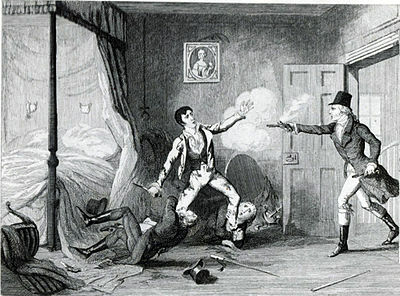 Upon her endeavouring to detain her cloak to cover her for the moment, one of the gang presented and fired a pistol which blew off the upper part of her head and right eye after which they retreated. Intelligence of the transaction reached Barry Cotter a neighbouring magistrate, he, attended by a number of country people, the tenants of himself and Dr Wallis, commenced a pursuit, and having traced the lawless offenders to a house where they had shut themselves up. After an ineffectual attempt at resistance, five of them were taken and lodged in the bridewell at Millstreet, two of the original number having escaped. Pretty exciting stuff and enough to give a boy great pride in his Da, but more important is the fact that we will see in Barry’s later life almost a complete imitation of his father’s actions. Barry was his second son, and in the Irish tradition, carried his father’s name in the same way as the first born son carried his paternal grandfather’s name, in this case William. It has often been assumed that the name ‘Barry’ came into the family from a surname, through a marriage in the distant past. However, a little Googling will show that that it is in fact, an old and acceptable Irish Christian name with the pronunciation Bah-ree. As with many Irish names, the pronunciation does not reflect the spelling and so, over time, we have come to accept the phonetically flat interpretation, but it is probable that Dr Cotter was known as ‘Bah-ree’. Not much is known about Barry’s childhood and early life but by piecing together the small fragments we have we can see a little of what life was like for him. 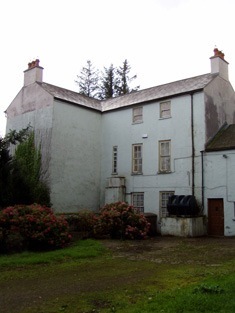 The family lived 2-3 kilometres north of Millstreet on a landholding called Flintfield and Flintfield House, the plain, three-story Georgian style farmhouse where Barry was born, is still standing. The property was under long term lease from the Chinnery family who had been landowners in the area since the seventeenth century. 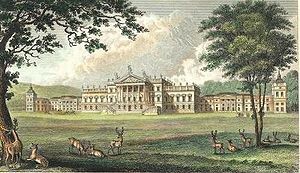 In 1803 Magistrate Barry Cotter applied for a gaming licence for Flintfield House, perhaps hoping to benefit from the passing trade. Whether he was granted the licence or not is unclear but the ‘public house’ lifestyle seemed to be in his blood as indicated by The Aubane Historical Society in this description. Millstreet was an overnight transit stop on the Cork-Kerry coaching route. The Millstreet Coaching Inn (owned by Magistrate Barry Cotter’s parents, William Cotter and Anne McCarthy) was reputed to be one of the best coaching inns in Ireland in the late 1700s. Daniel “The Liberator” O’Connell was one of those to sing its praises and mentioned that the proprietor Mrs Cotter was a cousin of his. It is known that in 1744, the Millstreet innkeeper was a Mr William Cotter. At this time Millstreet comprised little more than a mill, an inn and a few cabins. There was a handful of Cotters living in Millstreet in the mid eighteenth century but the only William Cotter we have been able to find, was the same William who married Anne McCarthy and was father of Barry Cotter the Magistrate. So perhaps Anne McCarthy is the mysterious ‘Mrs Cotter’ that Daniel O’Connell claimed was a cousin of his and who ran the inn. The public house lifestyle was in the blood too of the young Barry, as we will see in his later life that he was often associated with public houses, both as a customer and a proprietor. (So, that’s where it comes from, I hear you say.) It is easy to see that Barry grew up in a community in which his family was long established and well respected. 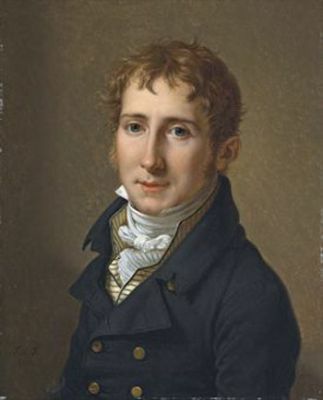 As the second eldest of five children (William, Barry, John, Daniel and Elizabeth) any carefree childhood would have been cut short by the death of his father in 1824 when Barry was fifteen years old. 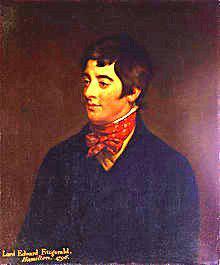 He became apprenticed to the local apothecary in Millstreet, Dr Denis O’Connell whom his mother, Eliza, married. It is not clear whether the apprenticeship was a result of the marriage or the marriage was a result of the apprenticeship, but what is known is that Dr Denis was only seven years older than Barry, which made him about fifteen years younger than his wife. With his older wife came the deeds to Flintfield and his family (he remarried after her death and had children of his own) lived there until he died from cirrhosis of the liver in 1867.
the lowest of medical qualifications, Barry’s name was inscribed in the Hall of Apothecaries in Dublin in 1826 and the same year he was enrolled in the prestigious Faculty of Physicians and Surgeons in Glasgow. Barry’s personal life during the three years at Glasgow is undocumented but the (now) Royal College of Physicians and Surgeons, Glasgow, Research 1-2 holds records of his attendance and graduation. Also in their files is evidence that Barry completed some subjects with the University of Glasgow. At the time the Faculty was one of the premier medical training institutes in the United Kingdom and it was at loggerheads with the University because it accused the University of not examining its students thoroughly enough. Barry is listed in the Medical Matriculations of the University in 1826 as studying Anatomy, Botany, Surgery and Prid(?) and also appears in the registers of Professor of Anatomy, James Jeffray with the ticket number 182. However his final graduation on May 24th 1829 was with a Licentiate from the Faculty of Physicians and Surgeons in Glasgow (LFPSG) and with these impeccable qualifications in hand he was ready to begin his new life. When Melbourne celebrated its Centenary in the 1930s there were several newspaper articles printed about the early days of the settlement, some more thoroughly researched than others. Dr Cotter is mentioned frequently in these and there are also occasional references to Inez. It is upon these articles that the oral history of the family is based and you can read some of them here and here. It is important to understand from the beginning that we have no clear idea of Inez’ family background, but it is equally important to present the various theories which have been discussed by family members over the years and to see those theories in the light which more recent research throws on the particular people and the times. Family story has it that Inez was the ward or adopted daughter of an Irish peer (Fitzgerald or Fitzwilliam) and that her mother was a Spanish dancer. It was told that she grew up in Yorkshire in this house and romantically, that later descendants might even have some claim to some inheritance (don’t pack, we’ve already tried). The word ‘illegitimate’ was never used but it is most probable that her parents were not married. The ‘natural’ children of the aristocracy abounded in Britain at the time, and New South Wales was a convenient and distant destination for such embarrassments. It has been said that Inez travelled to New South Wales with her godfather or guardian, Colonel Kenneth Snodgrass and his wife and six children. This however has never been confirmed as she is not listed with them on the manifest of the George Canning, Research 1-4 which arrived in Sydney on 23rd December 1828. The fact remains that to date, no record of Inez arriving in Australia has been found. Another fact against Inez’ association with Colonel Kenneth Snodgrass is that she is not mentioned in his very detailed will or in any of the Snodgrass family documents and letters. This is based on two things. Firstly, in later life Inez describes her connection with the Fitzwilliam family through the Fitzgerald family. Both these families led Irish/English society and politics of the time, Lord Fitzwilliam (1798-1888) being the Lord Lieutenant of Ireland and Lord Fitzgerald being the Earl of Leinster, the wealthiest man in Ireland. Secondly, Captain Edward Fox Fitzgerald served in the Peninsula Wars in Portugal and Spain between 1813 and 1815 in the 52nd Foot, as did Colonel Snodgrass and Colonel Snodgrass could well have been his commanding officer. Whether her mother was, as family oral history has described ‘a Spanish dancer’, is a romantic but debatable idea. The Snodgrass family lived in Spain and Portugal for thirteen years (1809-1822) and it could be that she was a domestic employee of Colonel and Mrs Snodgrass and that Edward was a visitor to their home. This would at least explain their sense of responsibility for Inez, if the family story is in fact, correct. All theories have equal weight here as we have no proof of anything. The only definite association with the Snodgrass family is the fact that the firstborn of Barry and Inez was named Frances Laura Snodgrass Cotter. Although it is feasible that she was named for Lt Col Kenneth Snodgrass, it is equally feasible that she was named for his third son, Peter, who was in the same social circle as Barry and Inez in early Melbourne society and who could have been godfather to Frances without any reference to his father or the rest of his family. The date of Inez’ birth has been a matter of great discussion in the family. Her death certificate (1864) puts her age at forty which makes her year of birth 1824. This means that she was fourteen years old at her marriage to Dr Barry Cotter in 1838. This is quite possible because although before 1823 no-one under the age of twenty- one could be married without parental consent, the 1823 relaxation Research 1-6 in the law regarding the minimum age of marriage saw boys legally able to marry at the age of fourteen and girls at twelve. In the 1851 Census, Inez states her age as twenty-eight, which is consistent with the 1824 birthdate. However in that same Census she states her birth place as Spain, and by 1824 the association of both Snodgrass and Edward Fox Fitzgerald with Spain was over. By 1824 Lt Colonel Snodgrass had retired to Scotland with injuries from his battle experience and Edward Fox Fitzgerald was on half pay and living in England. If Inez was born in 1815 as suspected, all the pieces fit because in that year Edward Fox Fitzgerald was a twenty-one year old officer of the 52nd Regiment fighting in Spain, as was Colonel Snodgrass. It would also mean that Inez was thirteen when the Snodgrass family arrived in Sydney in 1828, and twenty three when she married Cotter in 1838. However, the fact remains that no documented evidence has been found of Inez’ birth or that of her mother, so again all theories have equal weight. Edward Fox Fitzgerald married Miss Jane Paul on 25th October 1827 and went on to have one daughter, Pamela Frances Lucy Fitzgerald born in 1830. On 17th October 1827, a week before his wedding, Edward wrote to his banker requesting him to advance him his six months allowance as he ‘needs to procure a few things that are necessary’ Research 1-7. Perhaps that included making provision for Inez, as the date is just a year before the Snodgrass family arrived in Sydney. There is no evidence that Inez was ever in touch with her father in later life, but that was certainly not unusual for illegitimate children of the aristocracy. Edward Fox Fitzgerald had a very unusual childhood in that his father, Lord Edward Fitzgerald was embroiled in political and revolutionary intrigue and suspecting that his firstborn son might be in danger, gave him to his mother Emily, Duchess of Leinster, to raise. 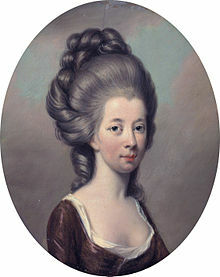 She already had twenty two children (read more here) Edward Fox Fitzgerald’s own mother, Pamela, accompanied her husband with their two daughters to Europe where he plotted with French accomplices for a French invasion to free Ireland from British rule. The relationship of Emily and her politically driven son was extremely close and is recorded in dozens of letters that passed between them as documented by the British author Stella Tillyard (read more) Emily’s fears for her son were realised in 1796 when he died in Dublin Castle at the hands of British soldiers and she was greatly comforted by having the charge of her grandson ‘little Eddy’. After the death of Lord Edward Fitzgerald his estates were forfeited to the crown, and it was not until twenty three years later, the 6th December 1819 that Edward Fox Fitzgerald and his sisters Pamela and Lucy were able to take the Oath of Allegiance before the House of Lords which countered the charge of Treason against the family and restored their rights as citizens of Britain. Inez is certainly a mysterious character and in the absence of hard facts it is natural to invent them, so you can see how the family stories developed. However, a few grains of evidence will come to light in later chapters which confirm some aspects of the story.